Leading off, from DQ reader My Wife, perhaps the most excited video subject ever: Aleksander Gamme, Norwegian Explorer, Is Incredibly Stoked To Find Cheez Doodles In Antarctica. The guy is a stone cold badass, too. From Matt Solomon, and damn, the ArenaNet guys are creative: Guild Wars 2 Super Adventure Box. Seriously, you have to see this video. From Matt Anderson, and I'd love to see this actually happen: Iain Duncan Smith Urged By Petition To Show He Can Actually Live On £53 A Week. From The Edwin Garcia Links Machine, and this is quite powerful: Caldera. Also, and this link blew the mind of Eli 11.8, it's Distance to Mars. From Michael M., and it's a follow-up on a link from last week: This Is the Most Detailed Picture of the Internet Ever (and Making it Was Very Illegal). From C. Lee, and this is an entirely wonderful interview: X-COM to XCOM: 20 Years of Turn-Based Strategy, Alien-Killing, and DREAD. From Chris Pencis, and it's tremendous: How hard would a puck have to be shot to be able to knock the goalie himself backwards into the net? Also, this is an excellent rabbit hole in itself, it's Hockey Robotics: The Leader in Hockey Stick Testing. Not a link, but a fun fact from reader Vahur Teller: Estonia had 11 hours of sunlight in December. Their historical average for December is 20 hours. Incredible. 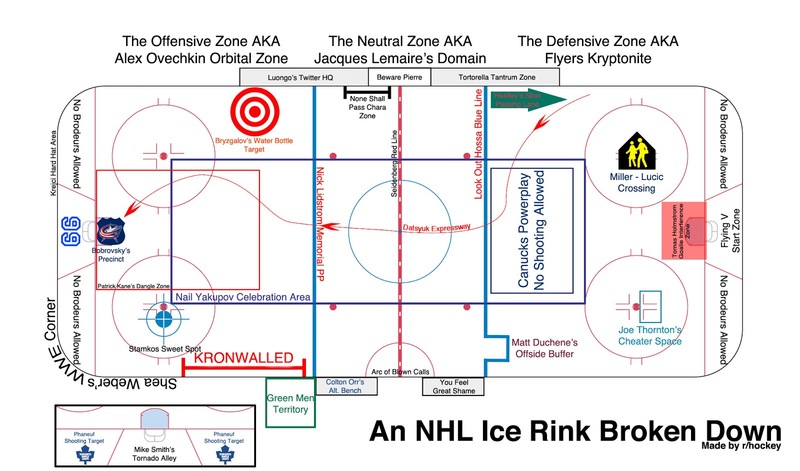 From Eric Lundquist, and this is outstanding: An NHL Ice Rink Broken Down. From nin, and this says it much more cleverly than I did: BioShock Infinite is Insanely, Ridiculously Violent. It's a Real Shame. There's a breed of domesticated cat called the Savannah, which is a cross-breed of a domestic cat with a serval. They're incredibly athletic, and by "incredibly" I mean go to :40 in this video and hold on to your jaw: Waking Up Andreas. Ending on a down note, here's quite a bit more detail on d-bag Mike Rice and what happened at Rutgers: The coach, the assistant and the AD.